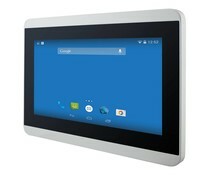 Widescreen7” Panel PC, 1024 x 600 resolutie, P-CAP multi touch, Freescale Cortex A9 i.MX6 Dual Core processor, 1GHz (optioneel Quad Core) . Power over Ethernet voeding. 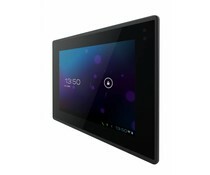 Widescreen7” Panel PC, 1280 x 800 resolutie, P-CAP multi touch, Freescale Cortex A9 i.MX6 Dual Core processor, 1GHz (optioneel Quad Core) . Power over Ethernet voeding. 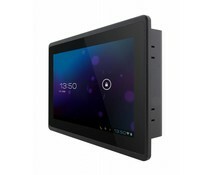 Widescreen7” Panel PC, 1024 x 600 resolutie, P-CAP multi touch, Freescale Cortex A9 i.MX6 Dual Core processor, 1GHz (optioneel Quad Core) . 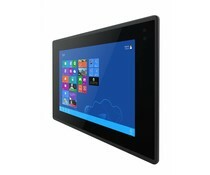 Widescreen 10,1” Panel PC, 1280 x 800 resolutie, P-CAP multi touch, Freescale Cortex A9 i.MX6 Dual Core processor, 1GHz (optioneel Quad Core) . 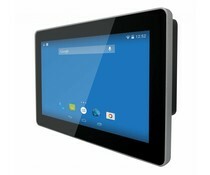 Widescreen 7" Panel PC, Quad-core N2930 processor. P-CAP 1024 x 600 touchscreen in chasis behuizing en Vesa montage. 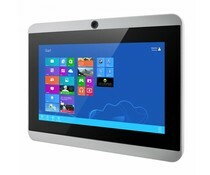 Panel PC met 10.1" TFT display, Quad-core N2930 processor. P-CAP 1280 x 800 touchscreen in chasis behuizing en Vesa montage. 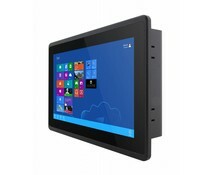 Widescreen7” Panel PC, 1024 x 600 resolutie, P-CAP multi touch, Intel® Celeron® Bay trail-M N2930 Quad Core processor, 1.83 GHz. Widescreen 10,1” Panel PC, 1280 x 800 resolutie, P-CAP multi touch, Intel® Celeron® Bay trail-M N2930 Quad Core processor, 1.83 GHz.